DOT provides Engineering and Well Planning services as well as manages and maintains wellbore integrity which is critical to operational efficiency. 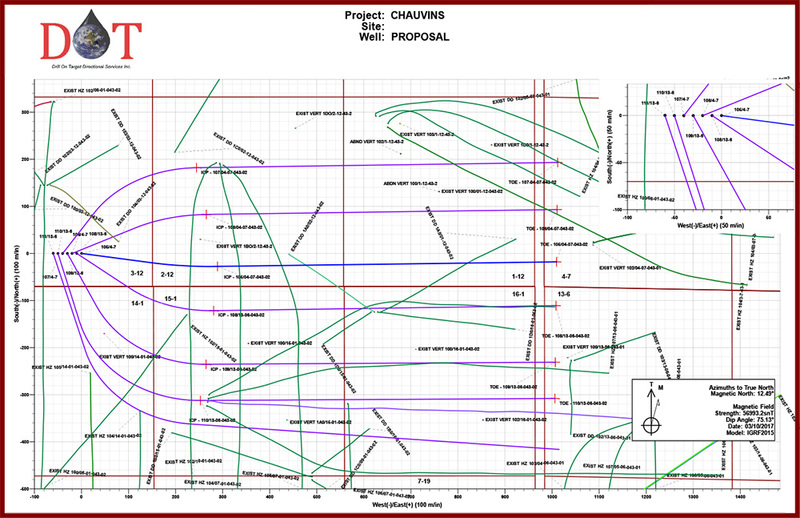 Using many years of directional drilling experience, combined with proven software, DOT is able to efficiently develop detailed well plans, analyze and archive directional surveys, perform anti-collision analysis, accurately model and predict torque / drag, calculate bit hydraulics, determine drilling system pressure losses and establish coefficients of friction. In addition Drill on Target uses standardized database to document directional drilling and MWD projects. This database allows DOT to achieve lessons that are learned and documents actual detailed accounts of the conditions under which our drill motors, MWD systems and other tools were operated.